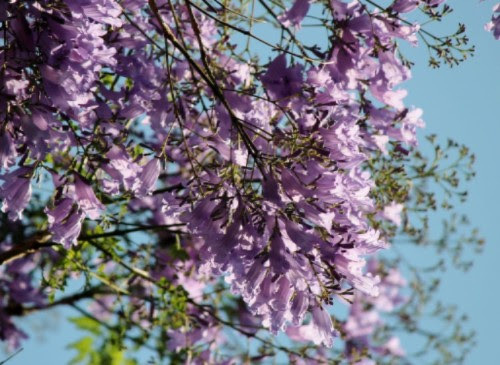 Please join us at our annual Hanami picnic beneath the beautiful Jacarandas at New Farm Park. As always, there will be games and lots of great company. Plus, sharpen your knowledge of Kobe for some sister-city trivia questions and bring along any Japan-related books you'd like to swap. Place: New Farm Park (we hope to be under the giant fig near the Rotunda or that general area). See attached map, and look for the JETAA banner. Catering: BYO food, drinks, picnic rugs, etc. Book swap: Please bring any Japanese or Japan-related books along that you no longer need. Please ensure it’s a book you’re willing to give away and note that you may need to take your book home again if it’s not sold. No more than 5 books per person please. Books can also be purchased with a gold coin if you don’t have any to swap. Please note that the event will be cancelled in the case of rain.